Virus Protection- Why it is essential and who offer the best protection for your device? In today’s digital era, Virus protection is crucial to protect your computer against viruses, trojans and other types of malware. Though zero-day attacks can penetrate some antivirus, antivirus software is the minimum level of virus protection that you can provide to your computer. If you are in search of good Virus removal software, you might be overwhelmed with the variety of free antivirus software. If you search for free antivirus on the internet, for example, you can find out that there are many antivirus vendors with varying market share. Hence it is crucial for you to understand how antivirus software work and what are the things that you need to look for while choosing one. Though there are many virus protection tools out there, Comodo Antivirus and Internet security are the best free antivirus tools that you can get. 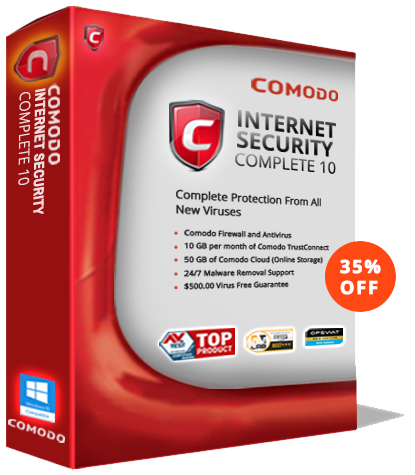 Comodo Antivirus combines the best, patented protection technologies in one comprehensive package. It appeals to both tech-savvy and regular PC users. Some of the highlighted features of Comodo antivirus are Complete Malware Protection, Auto Sandbox Technology, Defense Plus, Secure Shopping, Host Intrusion Prevention (HIPS), Fast, Cloud-Based Scans. While many antiviruses use “Default Allow” security posture, Comodo Antivirus makes use of “Default Deny” security posture. Because of that, security threats are not allowed to enter the computer by default. Comodo Antivirus allows only the known good files or applications to enter/run on the computer. Comodo Antivirus comes with containment technology, i.e., Auto Sandboxing. It can successfully ‘contain’ even the new types of malware by allowing the malware to run in a separate environment without affecting user experience. It offers a zero friction for end-user usability. The key benefit of this Auto Sandbox Technology is its ability to allow the user to execute the application(malware) he/she wishes to, allowing the user continued use of the application in a controlled operating system environment in the background. All the unknown files detected by Comodo Antivirus will be sent to Valkyrie (Comodo’s Threat analysis system) where in-house cybersecurity experts at Comodo analyze those unknown files and gives a verdict. Zero-day malware takes advantage of a previously unknown security vulnerability that has not been addressed or patched by the developers of that applications. .
Comodo Antivirus with its “Default Deny” security posture, do not allow the zero-day malware to enter your system. If your PC has already got infected with some zero-day malware, Comodo’s patented Containment Technology will restrict it and prevents it from spreading. Hence, Comodo Antivirus is simply the best free virus removal tool. It offers a complete virus protection platform comprising multiple security technologies, like the Auto Sandbox Technology, Defense Plus, Secure Shopping, Host Intrusion Prevention (HIPS), Fast, Cloud-Based Scans, etc.